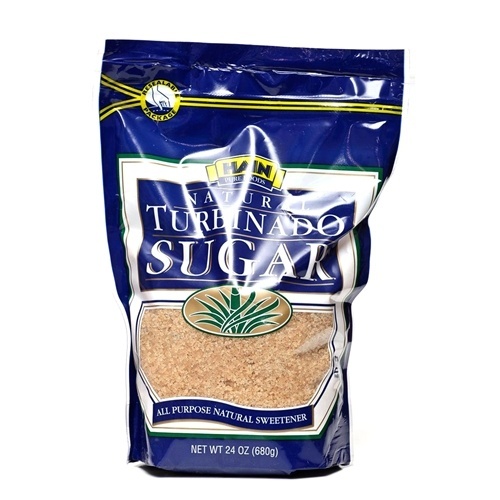 Hain Turbinado Sugar is the natural alternative to white sugar. It is harvested from 100% sugar cane. But unlike white sugar, Hain Turbinado Sugar is what remains after raw sugar is washed. Once the impurities in raw sugar have been washed away, turbinado sugar remains, with a natural coating of sweet golden molasses. So instead of using white sugar, use Hain Turbinado Sugar. Sprinkle a spoonful on your cereal, yogurt, or fresh fruit. And use it in all your favorite recipes. Hain Turbinado Sugar turns everything you eat into a naturally sweet treat. Contains: Turbinado Sugar.